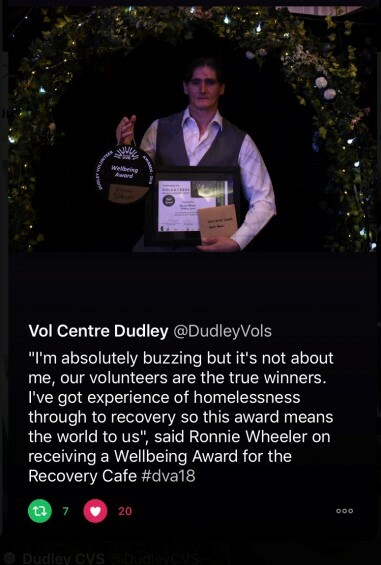 18th October was our annual Dudley Volunteer Awards and as always it was a truly inspirational and emotional evening, celebrating amazing local individuals and groups of volunteers who give their time to grow communities, and support the people who live in them. 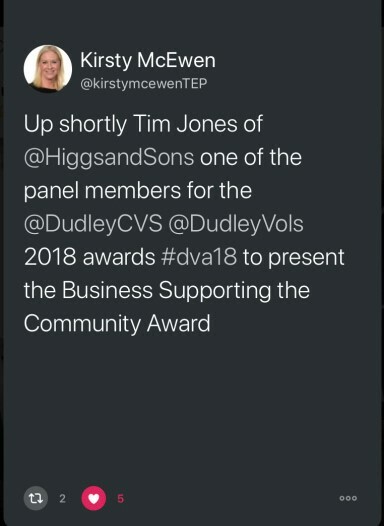 The Brierley Hill Civic and Dudley CVS staff teams spent the day preparing the Civic for the event and I think you will agree that it looked fabulous. 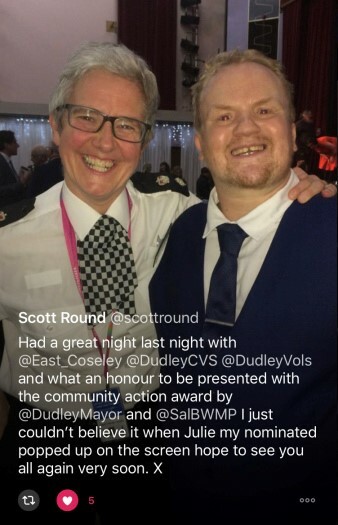 Brierley Hill Civic was packed with around 300 guests, including local voluntary, faith, community, statutory and private sector partners, MP’s, Deputy Lieutenants and of course the VIP’s of the evening, fabulous local volunteers and their guests. 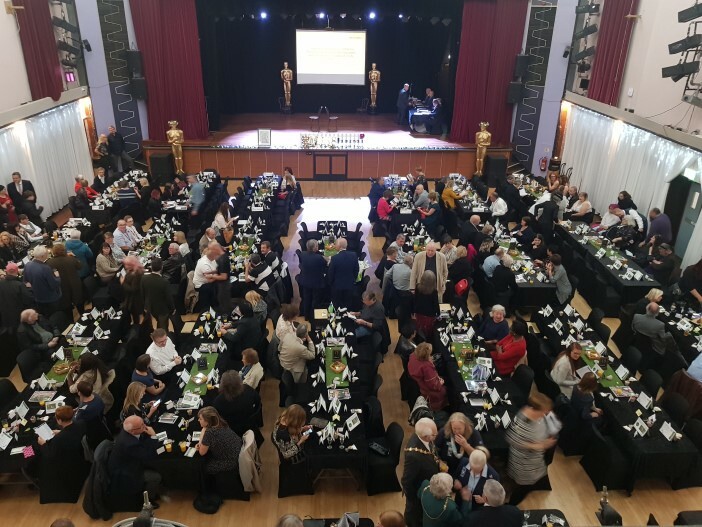 All 80 of this year’s nominees were invited along on the evening to receive their certificates and our illustrious Awards Panel selected main awardees and highly commended awards across the nine categories. We are always fortunate to have talented local people performing at #dva each year and this year was no exception. Guests enjoyed performances by three entertainers during the evening. 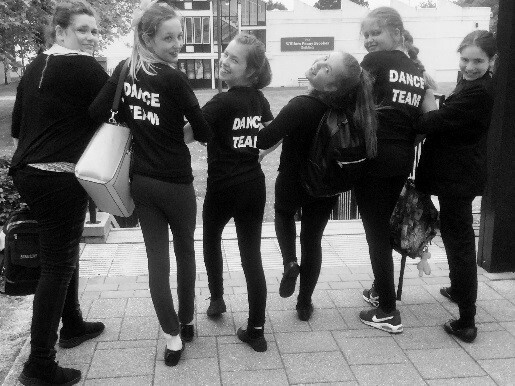 Dancers from Sutton School were the stars who opened the evening. 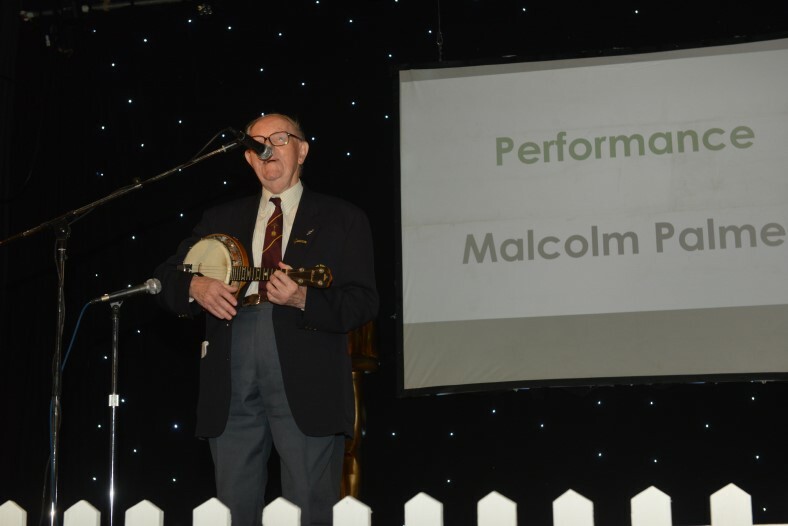 Our final entertainer was Malcolm Palmer, a talented ukulele player, who started the Stourbridge branch of the George Formby Society. We had some wonderful photos taken on the evening and were sharing the event’s highlights through our Twitter feed during the evening. Unfortunately not everyone came to the group photo call, but I think you will agree that this lovely photo catches the spirit of the evening perfectly. 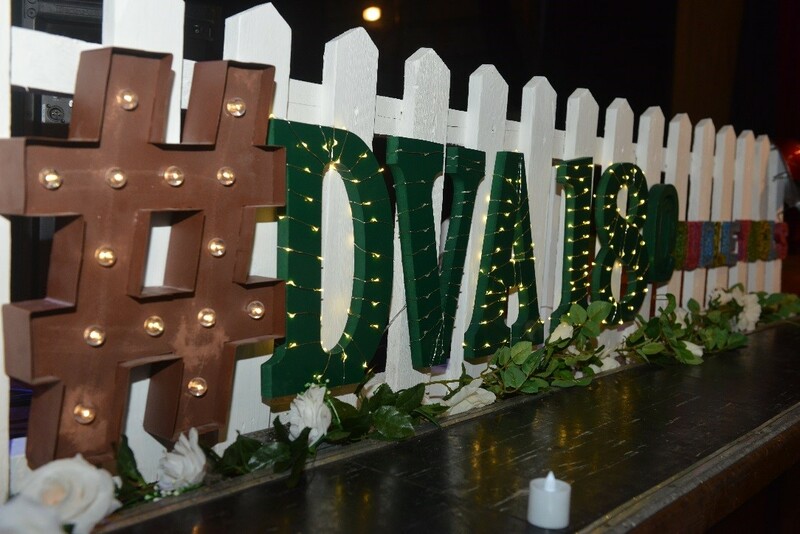 If you would like to see the photos please click here to visit our special #dva2018 blog page. 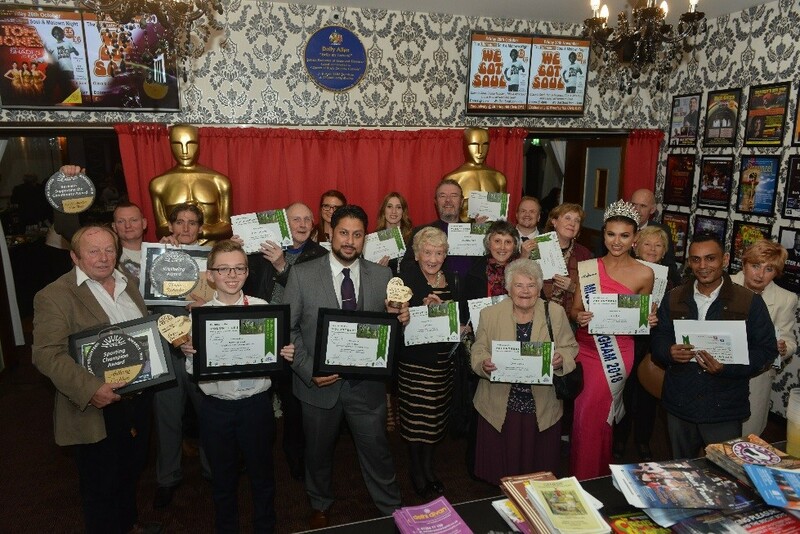 Once the nominated volunteers had each received their certificate, it was time to focus on the nine different award categories and distinguished local dignitaries were invited to introduce the awards and announce the awardees. 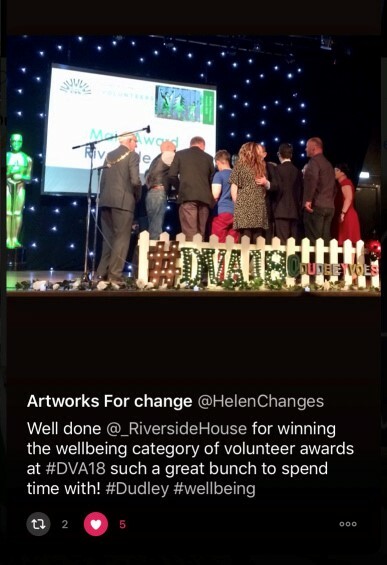 I’ve listed all the main awardees and highly commended for each category, including links to our special blog pages, with photos, video links and copies of the nomination forms, so you can see just what makes these exceptional volunteers so inspirational. 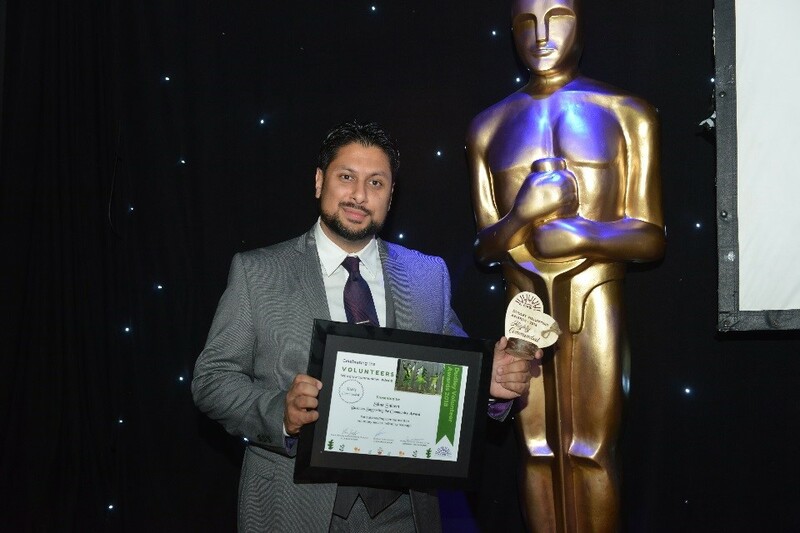 Shaz Saleem from Express Taxis was given a highly commended award for his contributions to local communities and causes. eady raised £3700 selling tickets are various VW events and the Just Giving page is climbing to £400! 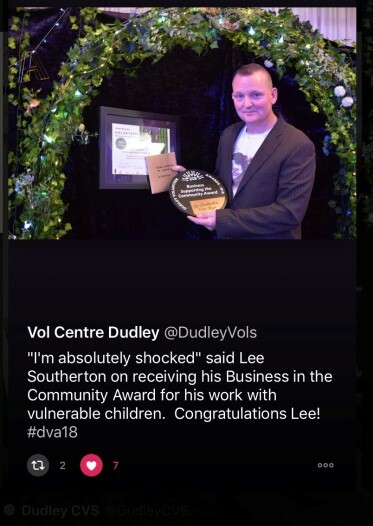 Why not watch the video from Lee’s nominator, telling us just what makes him so special? 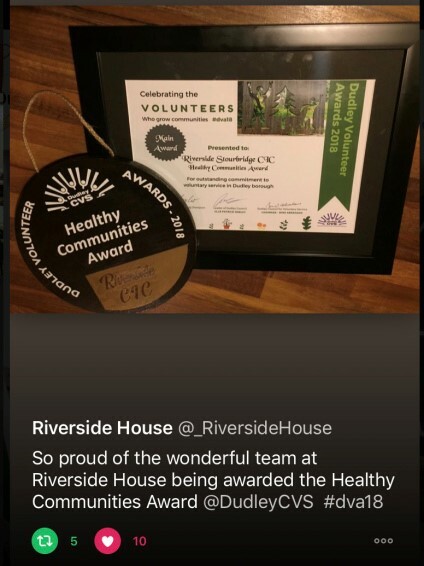 There was a joint Highly Commended Award in this category for Jasmine Road Community Gardens and Michael Price from White House Cancer Support. 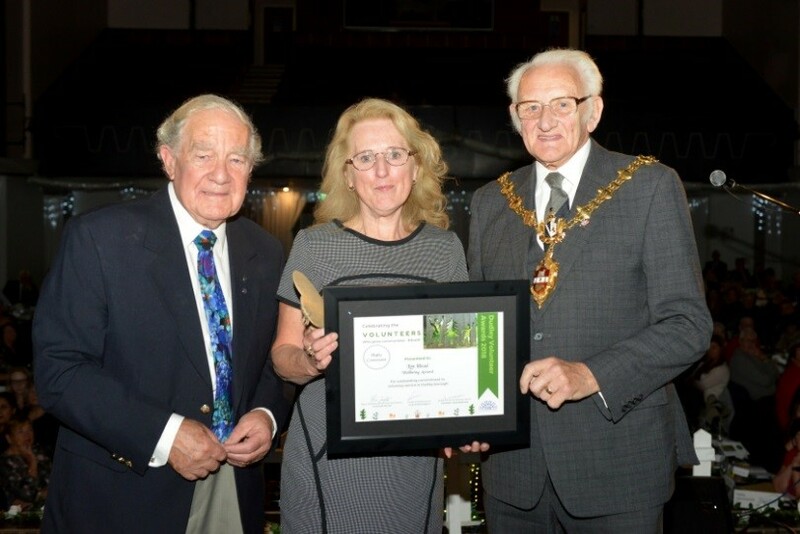 Lyn Head was the worthy Highly Commended recipient for supporting lonely and isolated people at the Chit Chat Club. 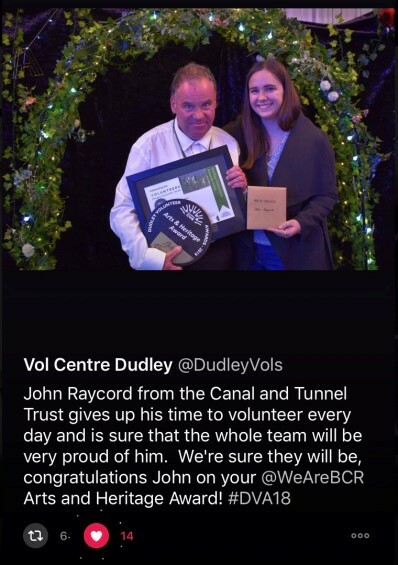 John Raycord from Dudley Canal and Tunnel Trust was the main awardee in this category in recognition of his passion and commitment. He’s well-known by local boaters using the canal. Please do follow the link and watch the lovely nomination film, telling you all about him. 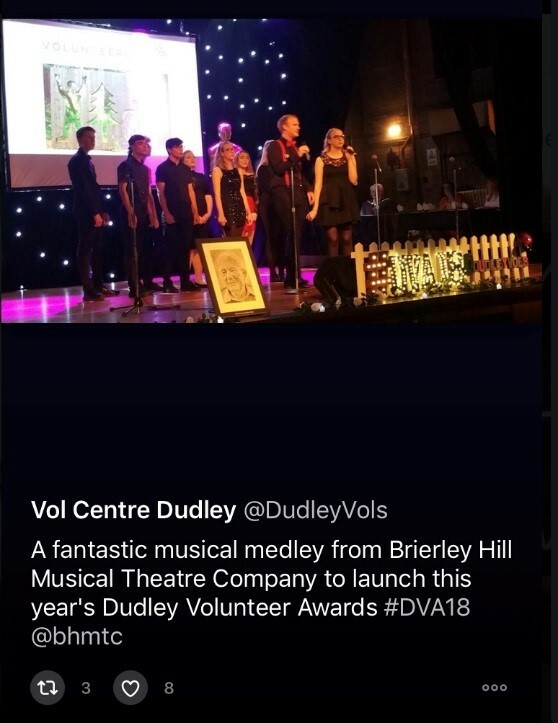 Jo Gresswell from Brierley Hill Musical Theatre Company was given a Highly Commended Award in this category and got an even bigger surprise as her group were performing their ‘Grease’ songs at the Awards. Caroline Smith from Dudley was granted the main award in this category. Her nominator has done an amazing film, telling us all about what makes her so special, so please do watch it. This year’s Sporting Champion was Anthony Coghlan from Dudley Water Sports Club. 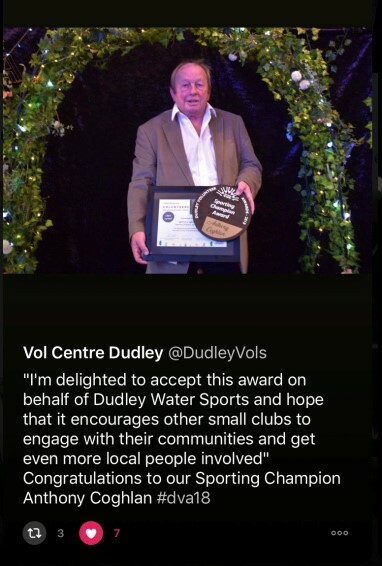 He was recognised for his drive and commitment in developing the club into a true community asset for local people to get involved. 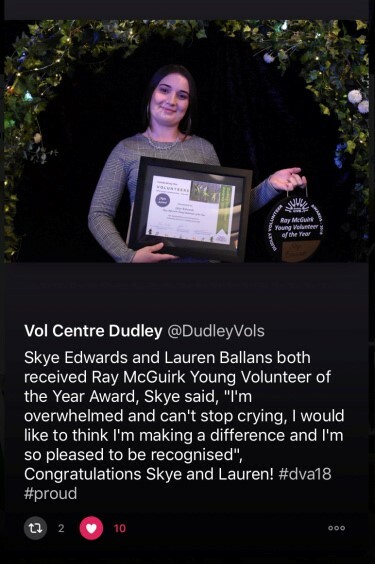 “Ray McGuirk, a proud Dudley resident, helped many in his community and particularly those less well off than himself. He was a great supporter of young people, whom he felt so often received unwarranted bad press. 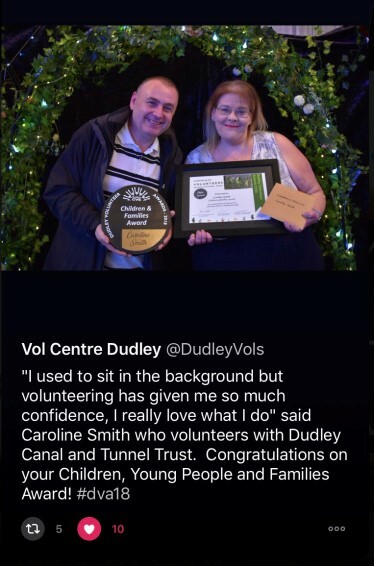 As a member of Dudley CVS Executive Committee for many years, it was only natural for him to ask Dudley Lions to sponsor the CVS Young Volunteer Award. This they have done for 14 years, championing the youth of today. Sadly Ray passed away in December 2014 at the young age of 88, but his work and legacy lives on in this award. He would be immensely proud to have his name associated with the work that these outstanding young people have carried o ut”. 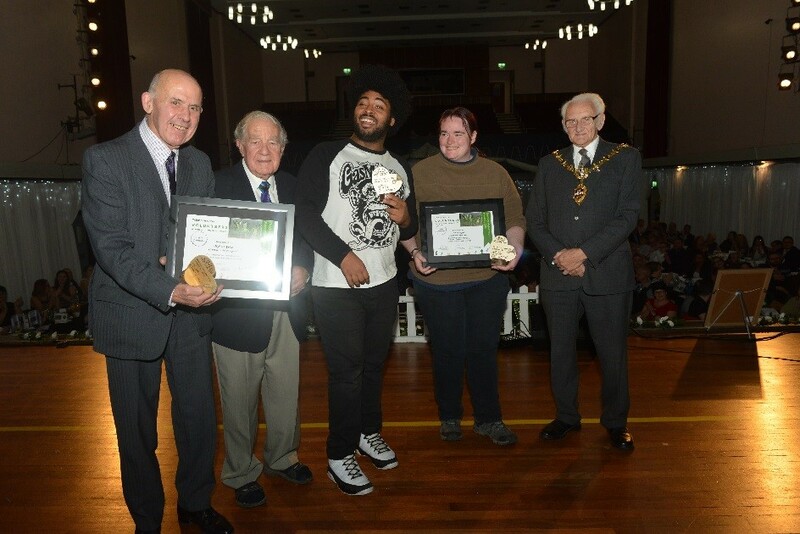 The Ray McGuirk Award for outstanding Young Volunteer of the Year is a very special award and is given to young people from across our borough, who demonstrate a commitment to making a difference in their local communities and are positive role models to other young people. This year’s recipients were no exception and were a truly inspirational group of young role models. 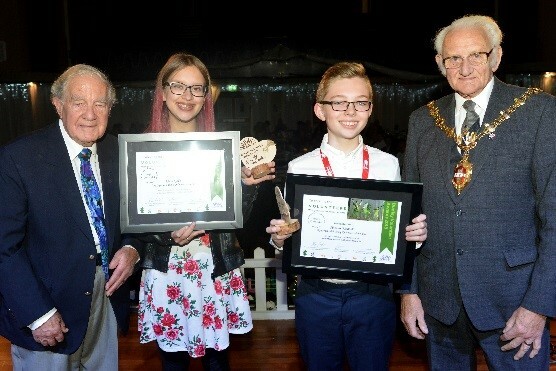 The Panel could not choose between two exceptional young volunteers and made a Joint Main Award to Lauren Bollans and Skye Edwards, who are both Young Health Champions for Healthwatch Dudley. 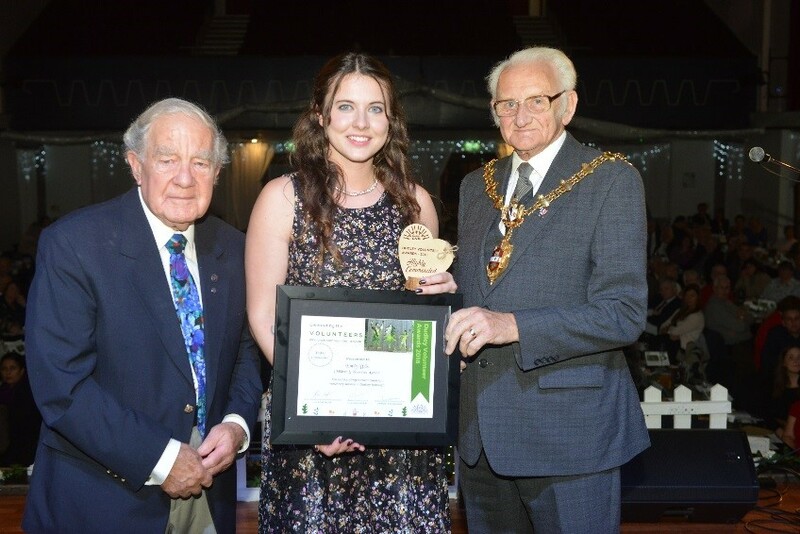 The Panel also chose to make a joint Highly Commended award in this category to two outstanding young volunteers Chloe Sallis and Thomas Southall. To read more about these simply exceptional young volunteers, please do follow the links to read their nominations and see the wonderful photos from the evening. Our most prestigious award of the evening is this award in memory of our late Chairman Gordon Lindsay, who dedicated his life to volunteering and local causes. The nominees in this category have usually volunteered for at least 25 years and this year was no exception. 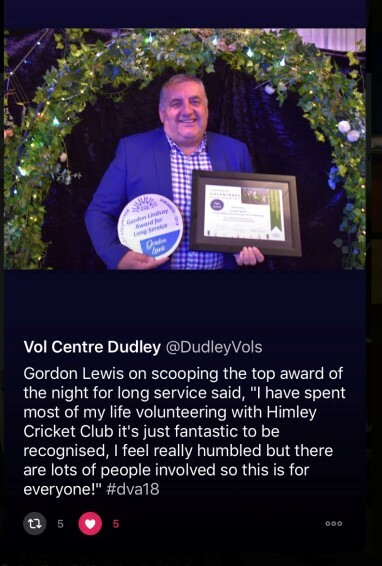 Gordon Lewis took the main award for his unstinting long-term commitment to growing and developing Himley Cricket Club.